HTC Chief Marketing Officer Ben Ho and President of Engineering and Operations Fred Liu have resigned from the company, according to reports. The resignations come amidst 11 consecutive quarters of revenue decline at the Taiwanese smartphone manufacturer. 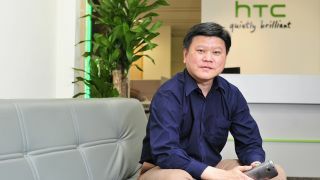 HTC founder Cher Wang will replace Ho as Chief Marketing Officer. Ho joined the company in January 2013. Ho told The Wall Street Journal he is on a sabbatical leave for an undisclosed period, and declined to say he has resigned. However, numerous outlets, including Bloomberg, which broke the story, claim Ho has resigned. He is HTC's third CMO to leave the position in the past two years. Liu will be assigned to oversee manufacturing and sales services. His previous responsibilities will be split between Chief Financial Officer Chialin Chang and Chief Engineering Officer David Chen. "HTC's dedication to innovation drives us to pursue our goals. We are taking the necessary steps to create a resurgence of the HTC brand. As a company, we will continue to push forward, making the hard decisions needed to continue growing as a global presence. "We are confident that the business steps we have taken, and continue to take, are the right ones to lead to a strong resurgence of the HTC brand. HTC continues to invest in talent and recruitment as part of our broader human resources strategy to ensure the continued strength of our company's organizational structure." Earlier this month, HTC announced a return to profits, following a run of three straight quarters where it lost money, despite making some of the best smartphones on the market. Thanks to the success of HTC One M8 sales the firm made $75.5m (around £44m, AU$80.7) in the three months leading up to June 30, an increase of 80% compared with last year. However, revenue still declined from the past year, and Wang has outwardly criticized the company's marketing efforts. Things had gotten so rocky at HTC that an impending Lenovo buyout was rumored late last year. The company plans to launch a wearable device by the end of the year. Competitors LG, Sony and Samsung have already demoed their own devices to critical success. What are the 10 best smartphones?